Comment: Brand new without numbers on it yet!! 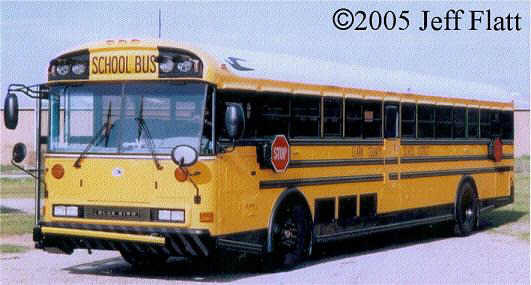 First time CCSD bought a Blue Bird All-American in the rear engine model!! It's said to have a 90 passenger capacity and one of the first to have a capacity that large from Blue Bird (RE model). Jeff also said about 100-150 were ordered (possibly for 06-07 years). Thanks for the pictures Jeff! !